Christmas is a time for family, friends, cheer and traditions. The hole left when a loved one has passed away is never more noticeable than during holiday festivities. Music moves us. It has a way of evoking emotion, sometimes right out of thin air. And nothing will hit you in the gut quite like a well-timed rendition of your favorite Christmas song. There are times in grief that call for wallowing. Sometimes letting yourself go deep into grief can actually help you rise out of it. 'Tis the season to feel your feelings! 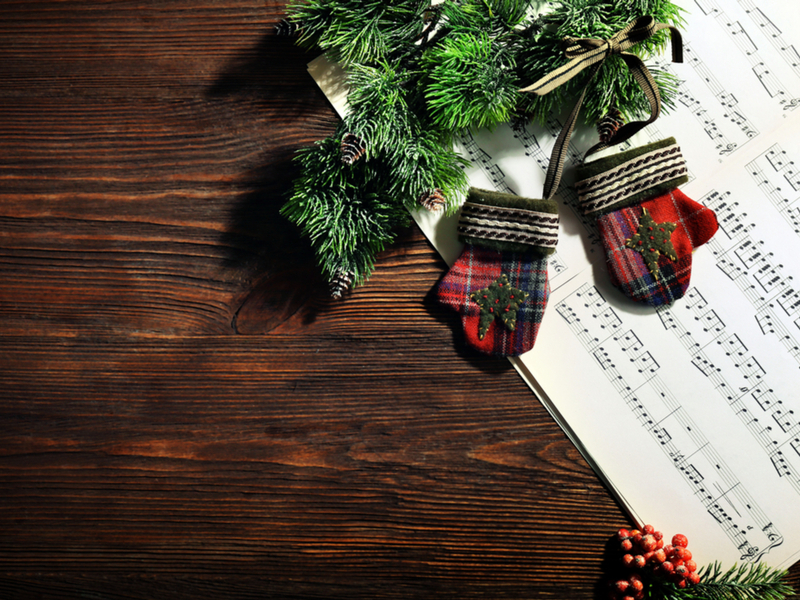 Listen to these top six Christmas songs to lean into your grief—and hopefully find some Christmas cheer on the way. "The Christmas Shoes" is one of the most widely loved (and loathed) songs when it comes to Christmas season. This relentlessly sentimental holiday favorite will make you cry. "The Christmas Shoes" paints the picture of a child who doesn't have enough money to buy shoes for his dying mother. He wishes to buy his mother shoes because he wants her "to look beautiful, if she meets Jesus tonight." If you have any unfulfilled holiday wishes involving your deceased loved one, you'll be able to relate to this song. Bing Crosby has a whole album dedicated to croony, classic Christmas hits. "I'll Be Home For Christmas" is the quintessential, wistful tune for those who can't be with their loved ones during the holiday season. The promise of making it home for Christmas is oft repeated in this timeless tune, but the hope of this is just a fantasy. "If only in my dreams" is the hope Bing has for seeing his loved ones this holiday season. This song is a Christmas standard, presenting a message of hope for those flying or traveling home just in time for the big day. But for those who will never see their loved one again, this song is all the more heart-wrenching. While mourning the loss of his wife the previous Christmas Eve ("a time to be happy, but there was sadness in one home, cause just one year ago a loved one had been called home"), a hopeless father rushes out to get his two children presents. A reckless driver hits the father and renders those two tots orphans. This song explores enduring, cyclical grief and trauma. Many people who have experienced during the Christmas season will relate to this mournful Red Sovine song as the ultimate Christmas loss song. When misfortune has fallen on a family, it can spark a crisis of faith. The name of this spoken-word song illustrates that crisis. "Is There Really a Santa Claus" is widely considered to be the most depressing Christmas song in existence. This motown ballad is sung from the point of view of an American soldier who is held as a prisoner during the Vietnam War. He would give anything to see a little Christmas tree, or to hear the laughter of children playing in the snow. "But I can't promise my eyes this sight; unless they stop the fight - cause I'm a prisoner of war lying here in my cell; hoping my family is well." For those who are missing loved ones whom are abroad, or those whom are no longer with them on earth, this song will hit home. Over Simon and Garfunkel's solemn, simple rendition of "Silent Night," an anchorman reports a series of real-world mid-1960s news stories, including the discovery of killer Richard Speck, who slaughtered student nurses. He also bleakly predicts five more years of the Vietnam War. It's an artsy, existential version of that Christmas classic shows the dissonance between the joy of Christmas at home, while war and pain rages on elsewhere. "Blue Christmas" is the ultimate holiday tear-jerker. In the song, Elvis has come to terms with the fact that he will not see the one he loves this Christmas. He accepts that the whole day will be ruined, and has decided to just sulk and pine until the holidays are over. This is the perfect song for wallowing when you know Christmas "Won't be the same dear, if you're not here with me." Depending on where you are in your grief, it may be wise to avoid these depressing Christmas tunes. Whether you want to laugh, cry, or cringe, these tunes definitely embody the painful nostalgia of the holiday season. Gauge where you're at, and let this holiday season be a cathartic experience, even in grief.